I did a similar question for my midterm and made them incorporate Desmos in order to find when one salary overtakes the other. I did linear and exponential, but not quadratic. I’ll definitely add quadratics in there next year! Great ideas, sir! 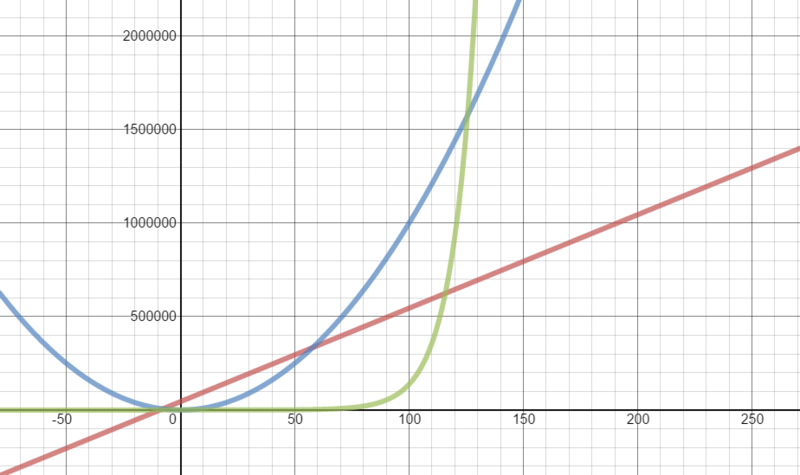 In reference to the graphing, would you consider using a log base (Desmos can scale that way!)? 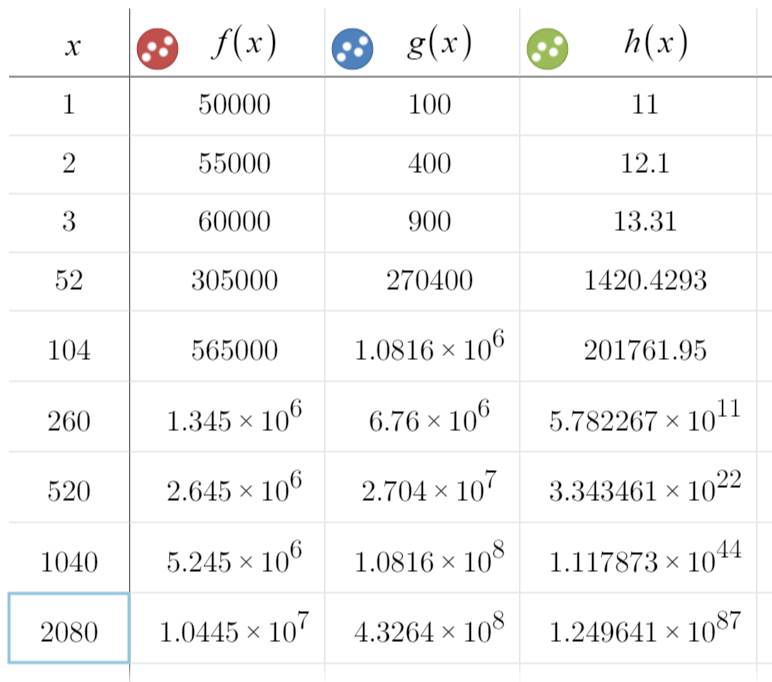 Whoa, had no idea Desmos could do that!